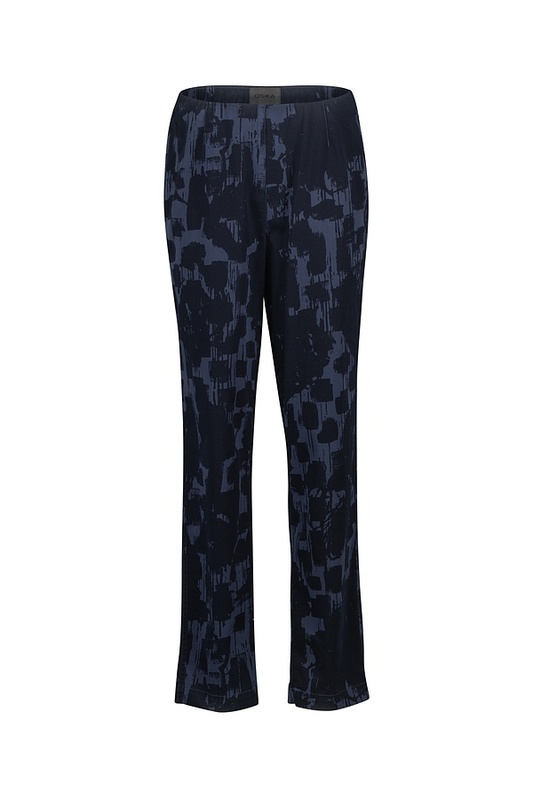 These OSKA trousers conjure up a gorgeous silhouette. At the hips, supported by two darts, they have a beautifully narrow fit yet offer enough freedom of movement to make you comfortable around the clock. The trouser legs taper off to a slightly conic shape. For a great look with flat sandals or sneakers, turn up the trouser legs. Wash separately or with similar colours, colour fades do not remove spots local. Irregularities in the colour are part of the character of the product.